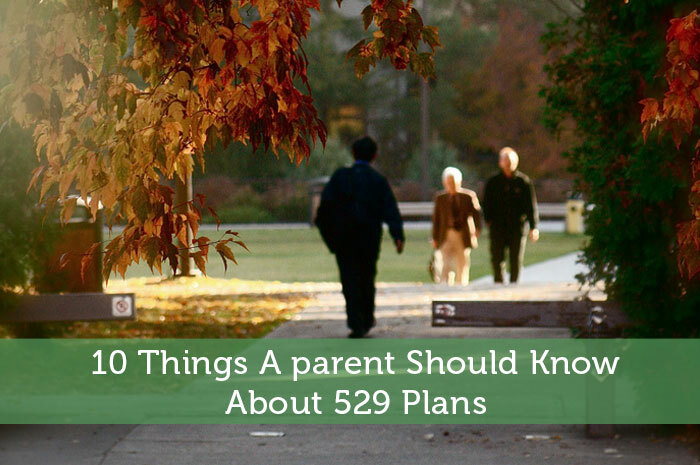 The following is a guest post about 529 plans. If interested in submitting a guest post, please read my guest post policy and then contact me. Back in 1999, I started a 529 college savings plan for my daughter. She was five at the time, and I was a single working mom. College felt like a long way off, and that monthly $50 automatic deduction from my checking account? Well, some months it hurt. But I plugged away at it for the next 10 years. Especially in the beginning, I’d open the quarterly statement and cringe when I saw the slowly-growing sum. When the market faltered, I’d see that the account balance increased by less than my contribution. But I’d remind myself of the relative stability of long term investments and file away the statement with nothing more than a sigh. And I kept investing in my daughter’s future month after month. Last August, it all came full circle. That was the month my daughter started school at a private university. But, let’s backtrack to last March for a moment. We traveled four hours from home for a campus visit. Going into it, my daughter was fairly sure this was the place for her, but I wasn’t convinced. At almost $15,000 a semester, I went into it with my fair share of skepticism. Was this school worth the staggering cost? We spent the day touring the campus, meeting instructors, alumni, and current students. I sat in on parent panels. My daughter spent the night in the dorms. When we left the next day, we both knew this was the only place for her. It felt that right, that perfect. And that’s where her 529 plan came in. Because financial aid – scholarships, grants, and loans – only covered about 75% of that $15,000. Without the 529 plan, my daughter wouldn’t have been able to enroll at her dream school in August. 1. Your child doesn’t have to attend college in the state that issued the plan. My daughter is going to college in Missouri, and I’m paying her tuition with a Kansas plan. 2. The earnings on the plan aren’t taxed as long as they’re used to pay for eligible college expenses. 3. In some states, your 529 contributions qualify for an income tax deduction. 5. In many cases, 529 plans can be used at eligible trade and technical schools if your child decides not to attend university. 6. Also, they can be transferred between family members without consequence. So, say your oldest daughter decides she’s not going to attend college. You can use her 529 plan to pay for your middle son’s college expenses by simply changing the plan beneficiary. 7. Accessing the money is surprisingly easy. In my case, I could choose between two options- having a check mailed to me, or having the funds paid directly to the school. I thought the latter option sounded quicker and easier. It took one short phone call for the balance of my daughter’s fall tuition balance to be paid. 8. Speaking of easy: like I mentioned earlier, you can fund your 529 plan with an automatic deduction from your checking or savings account. 9. You don’t have to contribute a huge sum every month. I did $50, but some plans have no minimum requirement. Remember: something is better than nothing here! 10. If your kids end up with way too many toys at holidays and birthdays, consider suggesting that grandparents, aunts and uncles contribute to a 529 plan instead, or at least cut back on the toys and donate part of what they’d normally spend to a 529. In most states, you can open a 529 plan for a grandchild, niece, nephew, or even a friend. You never know – the perfect college or university for your son or daughter might end up being one of the most expensive. I’m glad I had a 529 plan so that my daughter could pursue her college education at the place of her dreams in spite of the costs associated with it. Taking the initiative to make an investment for your child’s future can reap you plenty of benefits. Have you ever thought about availing college savings plans for your kids? Author Bio: Shana Norris is a writer, reader, runner, coffee guzzler, and chocolate inhaler who dreams of becoming an Avett Brothers groupie. Do you know what happens if none of your children decide to go to college? Can you just withdraw all of the money or is there some penalty involved? Hi, Margarita: If your child doesn’t attend college and you elect to withdraw the funds versus transferring the plan to another beneficiary, you would be subject to a penalty (currently 10% of the plan earnings) as well as income tax on the earnings. Both the penalty and the tax apply to the earnings only – not the principal. Thanks for the info, my husband and I are considering opening a 529 for our nephew. I’ve read before that having the 529 in another family member’s name (i.e. aunt/uncle, grandparent), can help the financial aid qualification on behalf of the student/parent. Can you confirm this or are you aware of this? Also– I see a huge missed opportunity for some credit card cash back rewards. Maybe next time, get the check mailed to you and charge the tuition to your credit card! That is, considering the school doesn’t charge an extra fee to use your CC, and that you have high enough of a credit allowance. That is a sizable charge though, so even if you did have that much credit available, perhaps the school would allow multiple transactions or payments at no extra cost (to prevent your credit utilization ratio from jumping, relative to your credit limit). Hi, Chelsy: My understanding is that the effect of a 529 being included in the parent or parents’ assets on financial aid is nominal. Currently parental assets are assessed at a maximum 5.64% rate in determining the student’s Expected Family Contribution (EFC.) My daughter still qualified for grants and scholarships regardless of the 529. That said, I suppose it wouldn’t be included at all on the student’s financial aid application if it was owned by an aunt/uncle. It’s never too early to start saving for college! A 529 college savings plan is an excellent way to save up money for a college education. Scholarship offers, financial aid and a 529 plan can help mitigate the costs of paying for college. It can turn an an expensive education into an affordable one. Interesting to see the U.S. plans and differences. It’s pretty similar to the RESPs in Canada, and I’m glad I’ve set those up for my daughters. Here, tax is deferred, and taxed at the child’s rate when they go to school, which is usually not very much or can be transferred to a retirement plan if they don’t go to school. I’m divided about continuing to pay their education in full, but I’d like to help where I can, to ease the financial burden on them. Anthony, we have yet to file our taxes so I can’t say for sure how the withdrawal from the 529 will be treated tax-wise, but my understanding is that as long as it’s used for “qualified” education expenses, there is not tax. That’s what I’m hoping for, at least! When can I open the 529 account? Do I have to wait until I have kids to open up a 529 account? Or can I start now even if I don’t have kids now? Thank you for sharing great info about 529. Hi, Arthur: You can open a plan now and make yourself the beneficiary. Later, you can change the beneficiary to be your child. When I worked at a financial planning firm, we recommended the Utah 529 plan a lot to our clients since you can invest in Vanguard funds and pay very little fees. Thanks for the great piece, Shana. I recall that my parents used their credit card to pay for my brother’s private tuition and they were able to get the points, with no extra charges or penalties! Definitely take advantage of that option if available. I’ve also heard that opening a 529 in a non-parent’s name means you can qualify for more financial aid. We’ve actually done exactly that for our 2.5 yr daughter by opening a 529 in my parent’s name. Shana, where did you find that figure of 5.64%? It seems like it’s 12% (see pg9, line 23 “Asset conversion rate”). The EFC also looks to be graduated depending on the parent’s total income + assets, so the end result could be much more than 12% if having a large 529 account in a parent’s name end up pushing you over into the higher AAI bracket (pg. 35). Personally I like to avoid all these government sponsored investment plans. They have all these taxes and stuff that try to deter you from withdrawing any money before the deadline. Has anyone had any experience with naming themselves as a beneficiary and then using the funds for your own education expenses? Even if I don’t go to grad school, I’m constantly spending money on online classes, community education, etc.